From the 14th to the 20th century from the collection of the Museum of Warmia and Masuria in Olsztyn, the armoury, ground floor. The exhibition presented in the Lidzbark castle covers approximately 250 items of defensive armours and weapons from the 14th to the 20th century. Most of the exhibits presented at the exhibition were preserved by students at the Metal Conservation Workshop of Nicolaus Copernicus University in Toruń. 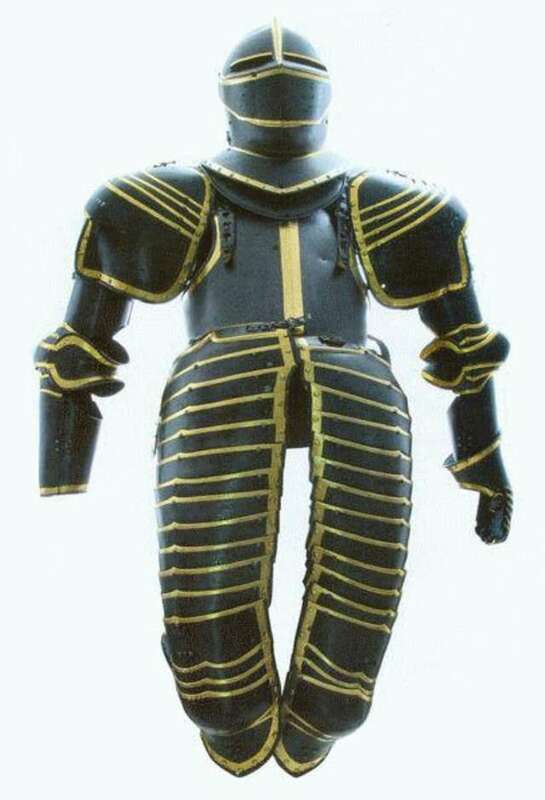 Among defensive armour items, certainly noteworthy is the mail armour of the Central European infantry from the turn of the 15th and 16th centuries. Another valuable item is the Western European cuirassier armour dating back to the 2nd quarter of the 17th century, made from blackened steel with gilded elements. Of great appeal is the collection of armour elements of Western European mercenary cavalry with sets of breastplates and backplates, greaves and armplates, as well as helmets from the 16th to the 19th century. Cold steel arms at the exhibition include cutting, piercing, shafted and blunt weapons. Firearms are presented by select examples of canons from the 17th and 18th centuries. The oldest examples of personal weapons are barrels of heavy arquebuses and muskets, as well as pistols and rifles dated from the 17th to the 20th century. An interesting addition to the exhibition are the military infantry kettledrum and drums, as well as cavalry caparisons. The exhibition is supplemented by a small number of Eastern weapons and armours, mostly Persian. These are items of high artistic grade made in the 17th and 18th centuries.